The great thing about using herbs to darken your hair color is that in addition to darker hair you also get then benefit of having healthy hair and scalp. There is a downside however, very little instant gratification. The change in hair color brought about by herbs is subtle and the herbs must be used consistently over time in order for the changes to become really noticeable. Sage, black tea and rosemary are some of the herbs that can darken grays with consistent use and provide other benefits such as reducing shedding, improving shine and combatting scalp irritation and itchiness. Note: Simple herbal rinses are required and chances are you won’t need to wear gloves or hold your breath to use them. Gloves are necessary, however, if you decide to go for more immediate and permanent results with henna or indigo. Sage rinses promote hair growth and darken hair color when used consistently and frequently. Rinses need to be applied daily or as often as possible until desired color is achieved. Weekly applications of sage rinses thereafter will help maintain color. Black tea not only darkens hair but will improve shine and is widely reputed to reduce excessive shedding. The process of using black tea to darken hair color is really quick and simple which is great for those of us who don’t have a lot of time. Rosemary is one of the absolute best herbs for promoting a healthy hair and scalp. Rosemary reduces shedding and improves circulation to the scalp thereby promoting healthy hair growth. Rosemary is known to darken grays though its darkening effect isn’t as strong as that of sage. Using rosemary and sage in combination is therefore a great way to get the best of both worlds. Multiple hair and scalp benefits and darkening of grays. Henna is a hair conditioner and a natural way to color hair or create subtle highlights in hair depending on your starting color. On gray hair henna gives an orange-copper tint. 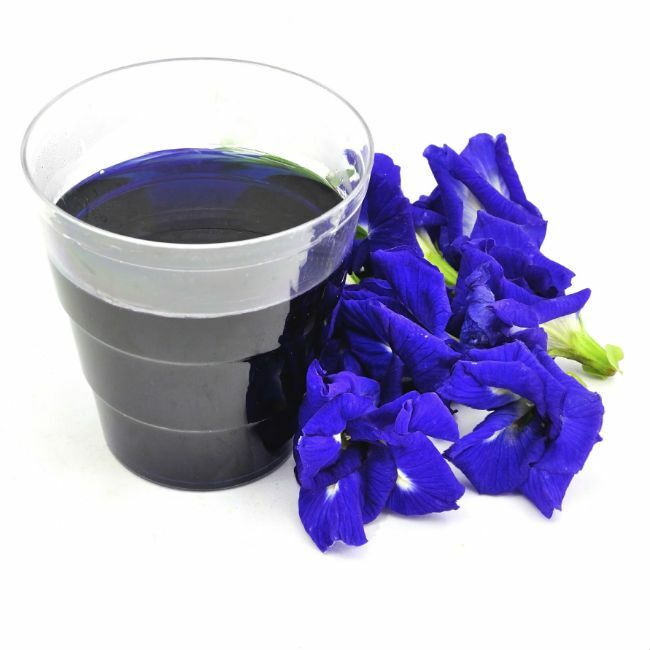 Indigo gives a blue black color that when applied on previously hennaed hair will completely darken gray hair. Use the herbs mentioned above either alone or in combination. You may also add essential oils for fragrance and additional hair and scalp benefits. Don’t forget to strain if you’re using loose herbs (as opposed to tea bags). It is also optional to rinse with water after you have applied your herbal rinse. Try it both ways and decide which way suits your hair and lifestyle best. In addition to being a rinse for gray hair, these herbal mixtures may also be used as a daily hair refresher or moisturizer. If you work out a lot consider using your herbal rinse to replace your mid-week co-wash and cleansing sessions. Herbal rinses are a great way to keep grays at bay and boost the overall health of your hair and scalp. Even if you aren’t looking to darken your hair, resolve to make herbal rinses a regular part of your hair regimen.